after a rest of four months. This day is considered good for marriages. The marriages take place on this day all over India. All good work could be started on this day. 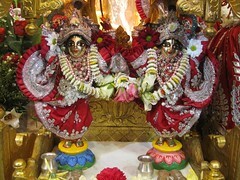 It is also known as the Dev Pradodini Ekadasi, Hari Pradodini Ekadasi, Uttahana Ekadasi and Bada Ekadasi. An image of Lord Vishnu is drawn on the ground on this day. On the statue of Lord Vishnu lights are put around it. In some regions this image is covered with a big brass cover represents that lord is sleeping. Bhajans are sung in the temple on this Dev Uthani Ekadashi festival. On Ekadashi one is not supposed to eat rice and alcohol drinks are strictly not allowed. The person who keeps the Ekadashi fast can drink water. Ekadashi fast helps in managing and controlling the confusion of mind which happens normally on the day of full moon. The Brahma has said “The people who eat once on Dev Uthani Ekadashi day will destroy their sins for past one birth and those who do not eat at all will destroy their sins for previous seven births. Ekadashi is the most important Vrat festival in India. This year Dev Uthani Ekadashi is on Wednesday, 13th November 2013.